A visit to Minneapolis City Hall is a fantastic way to take advantage of your vacation time. To visit it, along with a fantastic array of other sites, make your way to the much-loved city of Minneapolis - St. Paul. Are you a bit fussy when it comes to picking a hotel? You're sure to find something to satisfy you here, with just about 27 candidates in the vicinity of Minneapolis City Hall. 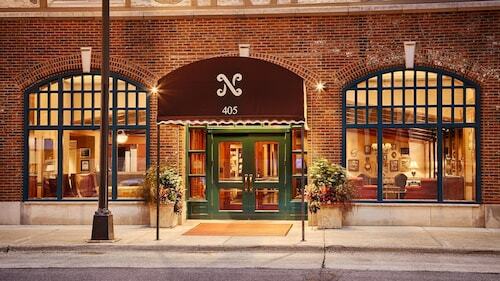 The Hotel Ivy, a Luxury Collection Hotel, Minneapolis is only 0.5 miles (0.8 kilometers) away. 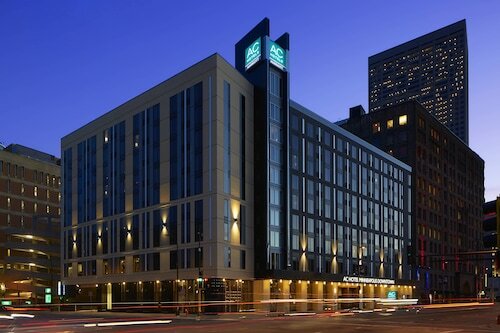 If that doesn't suit you, the Residence Inn By Marriott Minneapolis Downtown and the Loews Minneapolis Hotel are located 0.4 miles (0.6 kilometers) and 0.5 miles (0.8 kilometers) away, respectively. If you are just looking for a solid roof over your head, try one of the handful of reasonably priced hotels that are a few minutes drive away. Two recommendations are the Days Inn Hotel on University and the University Inn. Live a little and stay at one of many top-end establishments just a few minutes away. 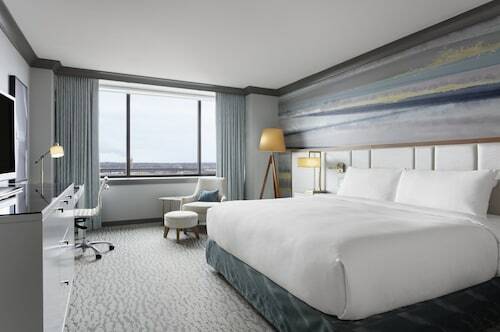 Some choices are the Radisson Blu Minneapolis Downtown, 0.4 miles (0.6 kilometers) away, and the Kimpton Grand Hotel Minneapolis, 0.2 miles (0.3 kilometers) away. When you're finished at Minneapolis City Hall, take a five-minute walk to Federal Cafe for a bite to eat, a caffeine fix or refreshing drink. If you have some spare time and a love of eating, you can also indulge in the fine fare at Simple Sandwich. If you have no plans to go home just yet, you can sip a refreshing glass of your favorite drink at Bar Zia, another quick walk away. Check out the bustling Minneapolis Grain Exchange, and find out how business is conducted here. Many tourists love visiting Minnewaska Lake. Bring some snacks and just relax. Those who appreciate nature ought to pack their hiking shoes and enjoy a hike along River Road Trail. As one of the main public transport hubs, you'll probably visit Old Milwaukee Road Depot. This spot is an attraction in itself. Pull on your skates and step out onto the ice. It's time to test your balance at The Depot Skating Rink. An easy trip on a train is an excellent way to reach Minneapolis City Hall. The most convenient station, Target Field Station, is just 0.7 miles (1.1 kilometer) away. How Much is a Hotel Room in Minneapolis City Hall? 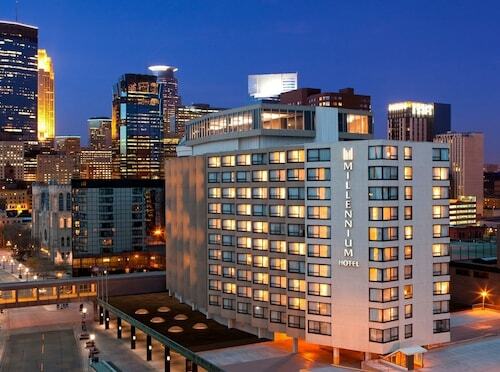 Hotels in Minneapolis City Hall start at $89 per night. Prices and availability subject to change. Additional terms may apply.